The history of African Americans is unique and rich, and one that has helped to define what it means to be an American. Arriving on ships on the shores of North America more than 300 years ago, recog- nized more as possessions than people, African Americans have come to know the freedoms fought for in establishing the United States and gained through the use of our founding principles of freedom of speech, freedom of the press, the right to assembly, and due process of law. The ideals of the Founders became more real and more true for every citizen as African Americans pressed us to realize our full potential as a Nation and to uphold those ideals for all who enter into our borders and embrace the notion that we are all endowed with certain unalienable rights. Since Carter G. Woodson first sought to illuminate the African American experience, each February we pause to reflect on the contributions of this community to our national identity. The history is one of struggle for the recognition of each person’s humanity as well as an influence on the broader American culture. African Americans designed our beautiful Capital City, gave us the melodic rhythms of New Orleans Jazz, issued new discoveries in science and medicine, and forced us to examine ourselves in the pages of classic literature. This legacy has only added luster to the brand of the United States, which has drawn immigrants to our shores for centuries. This year’s theme, “The Quest for Black Citizenship in the Americas,” is a chance to examine the evolution of our country and how African Americans helped draw us ever closer to becoming a more perfect union. The narrative of the African American pursuit of full citizenship with all of the rights and privileges afforded others in this country is also the story of a maturing young Nation. The voices and examples of the African American people worked collectively to remove the boulders of systemic racism and discrimination that pervaded our laws and our public consciousness for decades. Through the work of Frederick Douglass and Harriet Tubman, Booker T. Washington and George Washington Carver, Martin Luther King and Thurgood Marshall, the African American community has steadily made progress toward the dreams within its grasp and the promise of our more Nation. Meanwhile, the belief that those dreams might one day be realized by all of our citizens gave African American men and women the same sense of duty and love of country that led them to shed blood in every war we have ever fought, to invest hardearned resources in their communities with the hope of self empowerment, and to pass the ideals of this great land down to their children and grandchildren. As we mark National African American History Month, we should take note of this special moment in our Nation’s history and the actors who worked so diligently to deliver us to this place. One such organization is the National Association for the Advancement of Colored People — the NAACP — which this year will witness 100 years of service to the Nation on February 12. 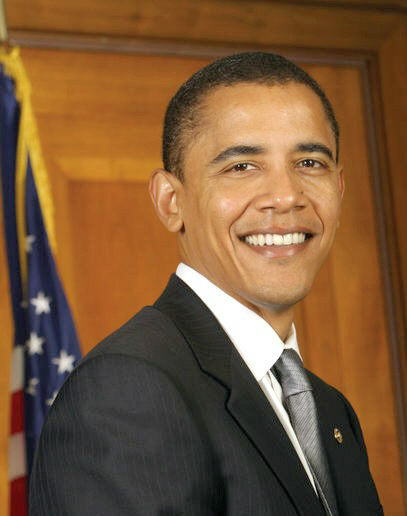 Now, Therefore, I, Barack Obama, President of the United States of America, by virtue of the authority vested in me by the Constitution and the laws of the United States, do hereby proclaim February 2009 as National African American History Month. I call upon public officials, educators, librarians, and all the people to observe this month.